Caesars Interactive Entertainment has bought the rights to the World Series of Poker mobile app, which boasts 6 million downloads, according to a press release. The app was previously owned by Electronic Arts. 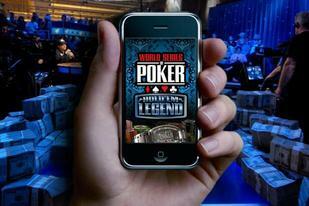 Caesars is purchasing the app in an effort to expand their presence in free-to-play social and mobile gaming. The app is available for download on Facebook, the Amazon Kindle, Android devices, and all IOS devices. There has been a lot of talk among poker players about the legalization of online poker in the United States, which was made illegal after the justice department shut down popular online poker on Black Friday. Caesars continues to lobby lawmakers in hopes to legalize online poker in the United States. However, despite their efforts, Senate majority leader Harry Reid finds it unlikely that anything will happen on the federal level. Caesars is poised to launch real-money online poker in the near future in the state of Nevada.